Pelican doesn’t just make cases for guns and accessories, sometimes you might want to keep something a little bit smaller protected with their Micro Cases line. Whether it’s a red dot sight or that high-end DSLR that you use to document your trips they’re a great idea. 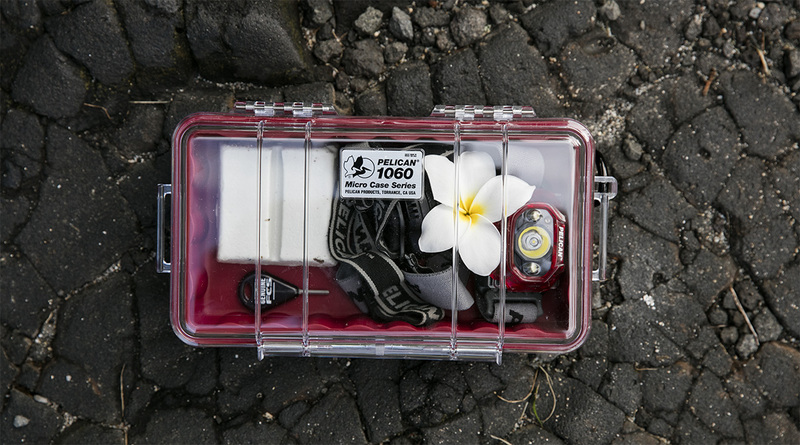 Pelican always impresses with the quality of their cases, giving you the best protection around for whatever you may need to keep secure. 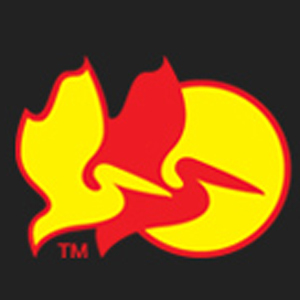 Pelican, Inc. started as a garage outfit which produced items specifically for the diving industry. Their range of products included the vaunted Pelican cases and specialized flashlights initially before the company began to expand. At this point in time, they’re owned by Behrman Capital, and their range of products has rapidly expanded. These days the name is synonymous with high-quality in their hard cases, lighting equipment, and all around. Even the US military uses their products, which pushes them to the next level of perceived quality. For the most part, the Micro line isn’t sized appropriately for firearms, although you may be able to fit a subcompact pistol in some of the larger models which are on the market. On the other hand, they’re perfect for protecting cameras and other electronics, as well as some of the pricier tactical accessories which are on the market. Whether you’re trying to safely transport a high-end Rebel camera or just make sure your phone is completely safe while you’re on a trip they’re an astounding way to keep delicate items protected. They make great companions for those who need their equipment but also have to traverse rough terrain. Give them a shot to keep your valuables protected. Best of all is the fact that they’re still covered by Pelican’s warranty: if it breaks they’ll replace it free of charge. While some of the Pelican Micro line are comprised of specialty sizes which are suited for a particular model of phone and common pieces of sensitive equipment that will suffice for most needs. The important thing is this: measure your items before you purchase your case. You want at least ¼” around the outside edge and ½” if possible. This will keep things from banging into the side within the foam in case of a hard impact. There really is a micro case which is suitable for just about everything. What follows is a quick overview of many of the excellent cases which are available on the market. The 1010 is the smallest of the lot, but it stands up to the brand name’s reputation for quality and hardiness under fire. Like the entire line, it has steel hardware and a clear case so you can see your items. It has a shock absorbent liner to hold your items in place as well, so ensure that you can fit everything with the liner taken into account. The 1040 is a bit larger and comes with a solid cover or clear polycarbonate. This makes it great for hiding your delicate valuables in someplace like another luggage trunk. It’s also available with a transparent top if you look around and find the size fitting but still want to be able to examine your items without opening the case. The biggest of the micro cases is the 1060, which easily has enough room for a wallet and a couple of cell phones. It’s also a bit cumbersome to be hanging off of your belt for the same reasons, which makes it more of a luggage case than many of the others. 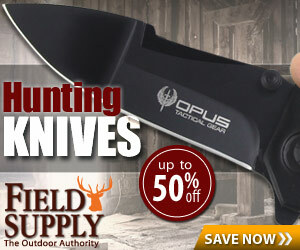 As with the rest of the line, you can expect it to be tough and durable through any situation of course. One of the specialized cases available from the Micro line is the 0955. This is a tiny case with it’s internals modified so that it can serve as a crushproof, watertight wallet. You aren’t going to be carrying a whole lot in it, but what you can fit is virtually guaranteed to be safe and sound no matter what you go through. 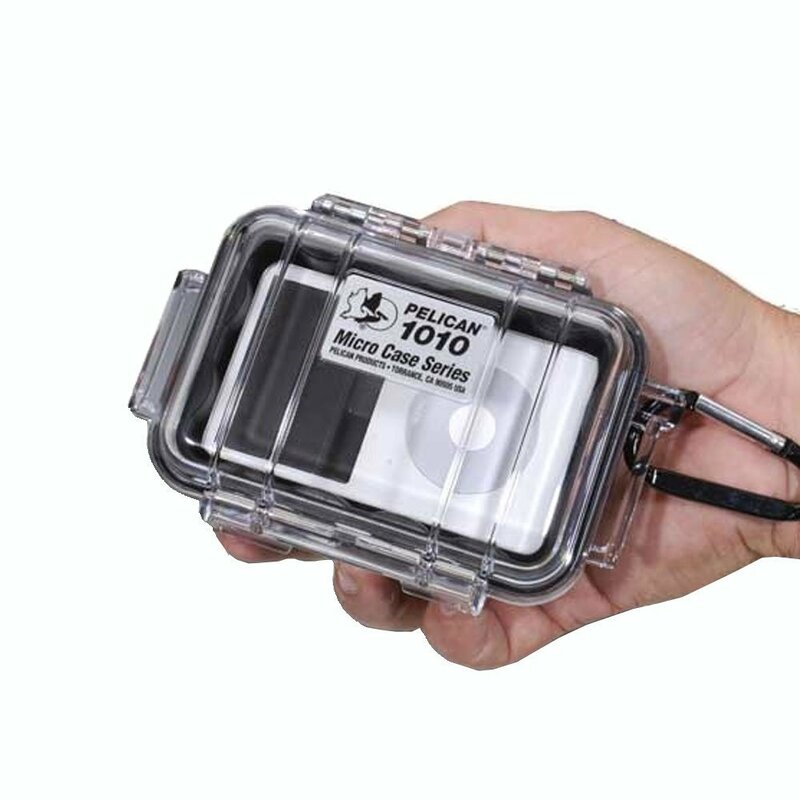 The 0955 design isn’t the only specialized case which is this small either, there’s also the 0915 and 0945 which are both awesome options for those who are looking to carry memory cards through rough terrain or on long trips where the little things are prone to get lost. 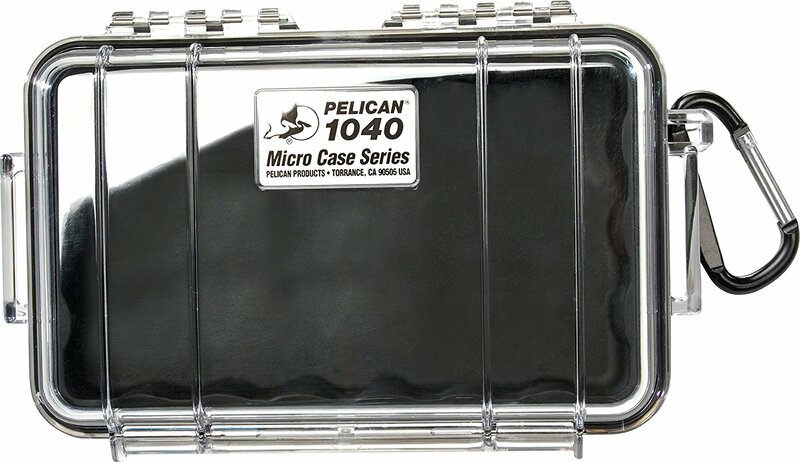 Pelican produces quite a few more of their Micro cases, mostly in intermediate sizes. The numbering scheme is fairly straightforward, with 1010 cases being the smallest and 1060 cases being the largest. If you want something in between the sizes we listed look for the 1030 or 1050 cases. Most are also available both with opaque or clear tops, as well as a few different colors depending on your needs. 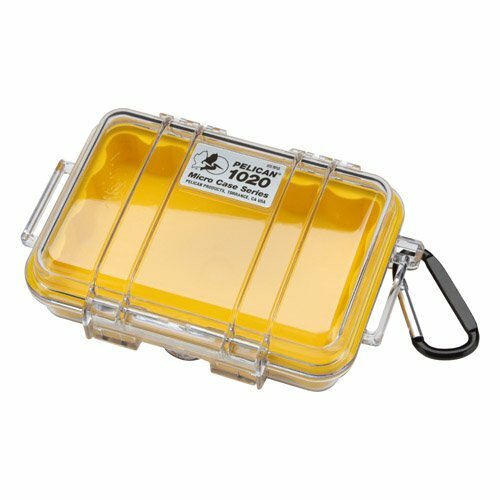 If you are looking for something larger, check out The Ultimate Guide to Pelican Protector Cases and The Ultimate Guide to Pelican Storm Cases. 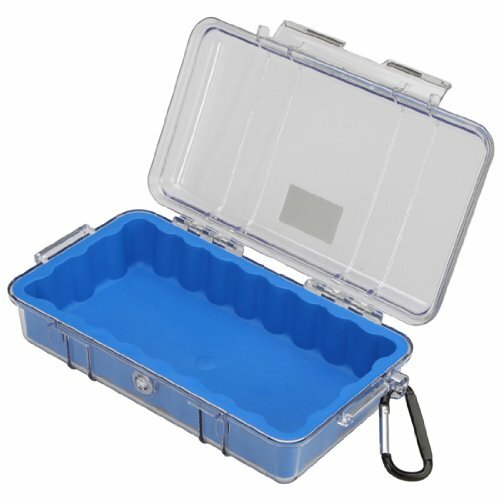 Whatever you need to protect, Pelican has the case for you. Of course, some people demand a snug fit for the best safety possible. If you’re one of them, then you’ll be glad to know that Pick’N’Pluck foam is available for nearly all of the Micro line of cases. The foam can be a little bit costly in comparison to the cases themselves, depending on the whims of vendors that day, but it’s the best way to ensure total protection while you’re using the cases. 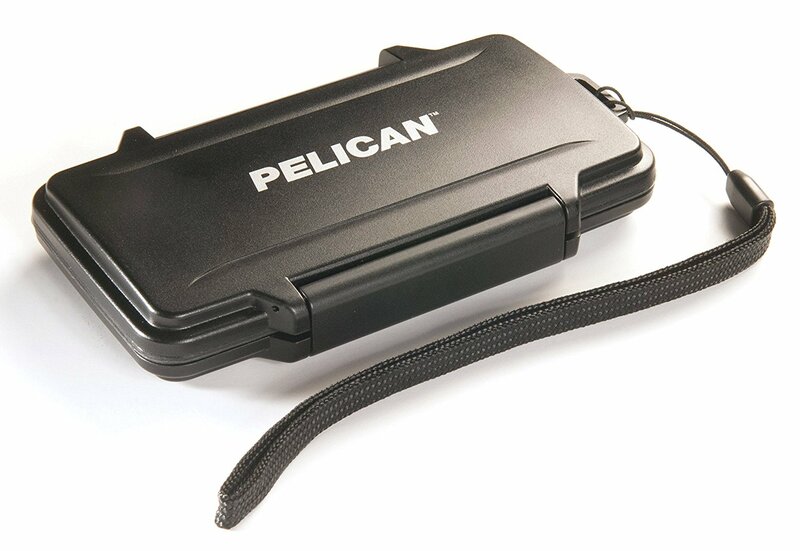 Pelican’s Micro cases are useful for electronics and other valuable items, and anyone who frequently travels or hauls their gear in rough terrain will quickly find a use for them. With the wide range of sizes, specialized variants, and foam available for all of them they’re a sure winner.